If you’re on the hunt for a new mattress, it can be hard to decide which one is right for you. There are hundreds of mattress producers flooding the internet, which means you have a lot of thinking to do if you want to choose the best one. While this is good for consumers, it also makes your job a little harder. Fortunately, many of these mattresses are much cheaper than their predecessors – online mattress companies are bringing affordable luxury to people’s front doorsteps. When you think of a new mattress, you probably think of comfort. And while comfort is very important, it’s also vital to make sure that you understand the global and personal impact of purchasing a new mattress. Many mattresses are made with synthetic materials, which can have a lasting impact on the environment. In addition, the chemicals in the mattresses can be bad for you – you don’t want to inhale chemicals every time you go to sleep. My Green Mattress has been battling this issues by creating low chemical emission products. They aim to provide mattresses that are better for you and the environment. It’s a great way to be responsible for your health and your world next time your purchase a comfortable mattress. In this article, we’re going to review the My Green Mattress company’s signature mattress – the Pure Echo. While they do have a few other mattress types, this is their primary offering. This review will help you get a deeper understanding of the mattress – it’s the best way to make an informed purchasing decision. Should I Buy the My Green Mattress? If you want to truly understand the mattress you’re purchasing, it’s vital that you know how it’s constructed. The Pure Echo mattress from My Green Mattress is made using a complex system of layers and materials. This hybrid mattress is designed to take advantage of several different systems. In this section, we’ll overview the exact way that this unique mattress is constructed. The top layer of this mattress is constructed using GOTS certified organic cotton. It is a thin quilt that provides plenty of comfort and pressure relief. This is the part of the mattress that you interact most with when you sleep on it. The second layer of the mattress is a layer of all-natural wool – it provides an additional comfort layer that also reduces your exposure to chemicals. The third layer provides comfort and transition to the bottom layer. It is made from a heavy-weight organic cotton in the form of a batting. This provides support and comfort, which then helps the transition to the next layer. 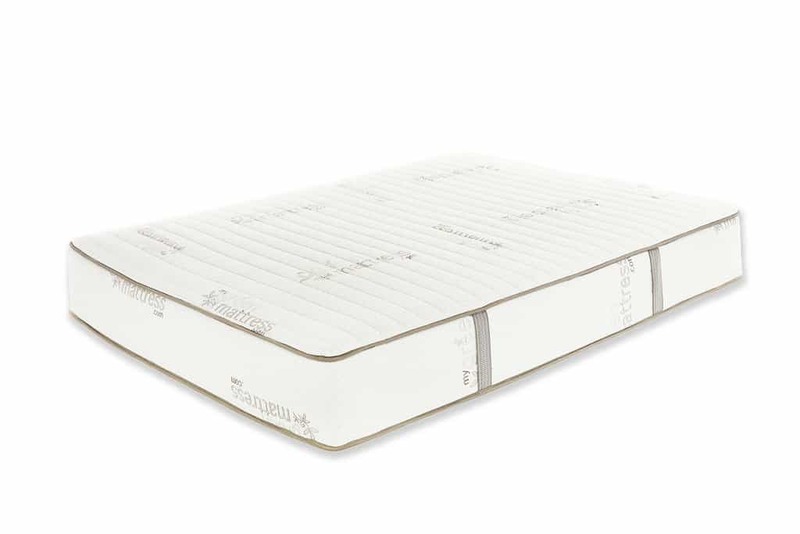 The bottom layer of the mattress is made from a collection of 3-zone pocketed coil springs. This provides support, resistance, bounce, and breathability – this is the lifeblood of the mattress. The cover of any mattress can be just as important as the mattress itself – if you use the wrong cover, you’ll find that the feel of your mattress is completely ruined. In addition, you may find that the mattress ends up retaining too much heat. As with their mattresses, My Green Mattress uses natural materials to manufacture their covers. The cover is made from GOTS certified organic cotton and Oeko-Tex natural wool. This provides an added level of comfort, and holds the mattress together to ensure more support. In addition, the wool acts as a natural flame barrier to reduce fire risk. So, you may be wondering about how this mattress feels. If you’re going to buy a new mattress, you want it to be as comfortable as possible. While My Green Mattress focuses a lot on using natural products, they don’t get let this get in the way of comfort. The top layers of their mattress provide a soft, comfortable feel. In addition to this, the coil system ensures that the mattress breathes. You won’t have to worry about overheating while you sleep on this mattress – if you’re someone who has a problem sleeping due to heat, this My Green Mattress is a good option. In terms of support, the mattress offers plenty. It’s a great mattress for someone who needs lumbar support while they sleep. You’ll find that the mattress is rated as a 7.5/10. This means that it’s also a great mattress for those who weigh more than average. Though if you weigh over 230 lbs., you might find that you need even more support. Overall, My Green Mattress has managed to produce a comfortable mattress that offers plenty of support. While many mattress companies stick to the same formula, My Green Mattress is known for updating their mattresses to improve their comfort and functionality. 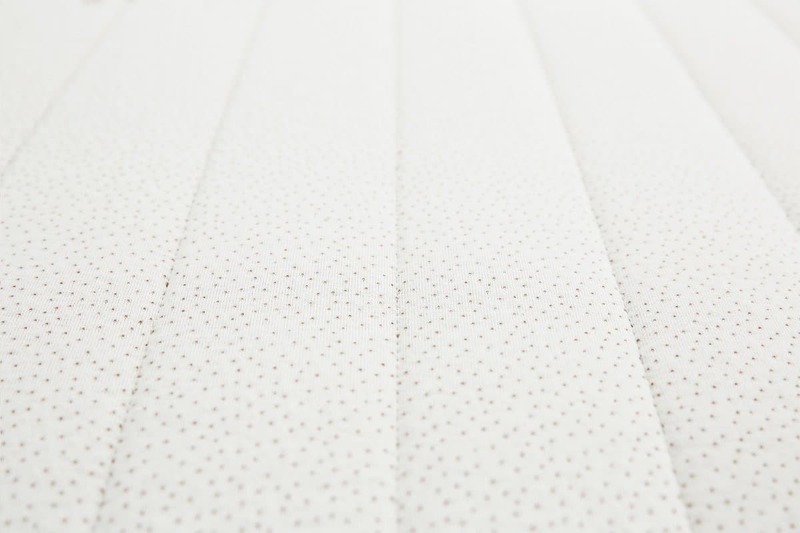 The Pure Echo is no different – the latest version of the mattress includes a new and improved spring system that adds support – it’s a great new feature that enhances the quality of the mattress. While the support level on the mattress is quite high, the top layers to provide a substantial amount of sinkage in comparison. You will most likely see around 2” of sinkage if you are someone of a normal weight. Don’t let this turn you off though, the mattress breathes well and the lower layers ensure lumbar support is still intact. One of the most important components of any investment or purchasing decision is the cost of the item – the same goes for a mattress purchase. As you’re well aware of, some mattresses can be extremely expensive. The My Green Mattress is not a cheap option – you will still need a fairly large budget if you want to purchase the mattress. This being said, it’s still much cheaper than other luxury mattresses on the market. It’s important to focus on the quality of the mattress when you’re considering purchasing a new mattress. This being said, it can sometimes distract you from other important aspects of a mattress. You need to be certain that you’re working with a mattress provider that also includes a range of features and benefits – there are plenty of industry standard benefits that you don’t want to miss out on. It’s important to consider all the prospective benefits that come with the mattress. If you end up with a mattress that doesn’t have these benefits, you’ll have to pay more in the future if issues arise. In this section of the article, we’re going to take a look at the added benefits of working with My Green Mattress – it’s the best way to understand the full value of your purchase. Check it out below! The warranty included with your mattress is one of the most crucial factors included in the cost of your mattress. As with most mattresses, purchasing a My Green Mattress is a long-term investment – you don’t want to spend this much money if you think you’re going to have to replace the mattress in a few years. That’s why it’s great that My Green Mattress has a 10-year warranty. If there is a problem with your mattress in the first 10 years of ownership, My Green Mattress will replace it or repair it. This is around the industry standard – though there are a few mattress companies that offer longer warranties than this. As mentioned previously, a huge selling point for My Green Mattress is the fact that they’re environmentally aware. If you want to work with a company that value your health and your environment, My Green Mattress is one of the only options on the market. The Pure Echo by My Green Mattress is certified Gold by GREENGUARD – this means that the mattress meets a strict criteria of safety and chemical standards. You can rest easy knowing your mattress is less harmful. My Green Mattress includes free shipping when you purchase any of their mattresses from their site. This is a great added features because it greatly reduces the real cost of the mattress. If you work with a mattress company that makes you pay for shipping, it can end up adding hundreds of dollars onto the cost of the mattress. If you’re someone who like supporting local businesses and workers, the My Green Mattress production facilities are all located in the United States. In a time where manufacturing is continuing to move overseas, it’s nice to know that you’re supporting a business that values the local economy. If you’re someone who prioritizes domestic production, My Green Mattress is a great company to work with. If you’re going to order a mattress through the internet, you need to be confident you won’t be ripped off. You can read all the reviews in the world, but until you try the mattress yourself, you can’t be 100% positive it’s the right one for you. Fortunately, My Green Mattress has a way to ensure you’re happy with the mattress. Once your mattress is delivered, you have 100 days to try it before are no longer able to return it. This means that you get more than three months to be certain that the My Green Mattress is right for you. 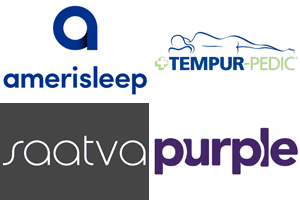 This is longer than many other mattress companies, many of whom only offer 30 day trials. If you want the My Green Mattress, but you don’t want to pay all of the money upfront, the company has a financing partner that can help you spread the cost of the mattress. Instead of paying for the entire mattress in one payment, you can create a monthly payment deal to help alleviate the pressure. Many people may qualify for pre-approval, but this will depend on your circumstances. Affirm is the financing partner used by My Green Mattress. You can find more details about their financing options by heading directly to their website. Making a final decision on a mattress purchase can be extremely difficult. If you’re going to pay around $1,000 for a new mattress, you want to be certain you’re getting value for money. If you’re someone who prioritizes your health and the environment, it’s hard to go wrong with a mattress like the Pure Echo from My Green Mattress. If you need a mattress with plenty of lumbar support, you can be guaranteed the My Green Mattress Pure Echo has plenty to give. In addition, if you need a mattress for your kids – this is a great way to reduce the chances that they’re exposed to harmful chemicals. In addition, there is a great 10-year warranty that reduces the chances that you’ll end up out-of-pocket if you have a problem with the mattress. If you know you can afford the mattress, and you think you want to purchase it, you have a 100-day trial in which you can get full refund. With little to lose, and plenty to gain, the My Green Mattress Pure Echo is definitely at the top of its environmentally aware market segment. If you need any more information about the material they use, they have in-depth information on their site. If you don’t think this is the right mattress for you, don’t worry – we have plenty of different reviews on our site. Our website is a one-stop-shop for mattress reviews, as well as plenty of other mattress related information. If you want to learn about all the different mattress types available to you on the modern mattress market, you’ve come to the right place.